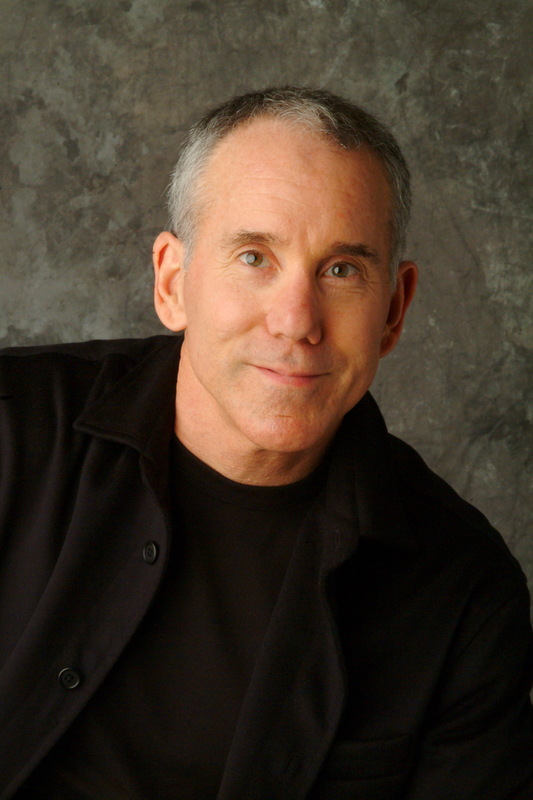 Dan Millman is the author of numerous books read by millions of people in 29 languages. He teaches worldwide, speaking to men and women from all walks of life, including leaders in the fields of health, psychology, education, business, politics, sports, entertainment and the arts. His lives in New York City and his website is www.peacefulwarrior.com. His latest book The Four Purposes of Life: Finding Meaning and Direction in a Changing World was released earlier this year, and Sacred Music Radio was fortunate to sit down with him and discuss his work. How did you go from being a college athlete and coach to writing books about personal and spiritual growth? In retrospect, it all seems a natural evolution in my case, combining a love for teaching, leading me to first explore how to increase talent for sports, and then into the larger arena of daily life and a quest for those skill-sets that would improve our talent for living. Given the title of your book, can you give us a short description of the four purposes? And why these four? As I note in the book’s prologue, people have various ideas about our purpose for living. Some say it’s all about love, or service, or knowing God. One could argue that there are ten or twenty purposes, or as many as there are people. Still, just as we divide the compass into four cardinal directions, it occurred to me (in a moment of lucidity), that we are, most fundamentally, here to learn the lessons of life and all that entails (the first purpose I present in the book); but we can’t ignore that purpose involving our work — our career and in some cases our calling (the second purpose). I wrote a major book, one of my most popular, called The Life You Were Born to Live: A Guide to Finding Your Life Purpose, so I couldn’t very well ignore this mysterious system or what it reveals (covered in the third purpose); and finally, I present what may be the most important purpose of all (the fourth purpose) — the one that appears in each arising moment. In The First Purpose — Learning Life’s Lessons — you suggest that Earth is a perfect school and the daily life is our classroom. Then what are courses we need to pass in order to graduate? Again, in a previous book — and a course I now present at www.dailyom.com titled “Master the Peaceful Warrior’s Path” — I present twelve gateways or golden keys to self-mastery. These twelve arenas address self-worth, self-discipline, energy, money, mind, intuition, emotions, courage, self-knowledge, sexuality, love, and service. Yet in this new book, we can appreciate these areas as required courses in the school of daily life — what we are really here to master within and through the theater of our work, relationships, and physical challenges. You wrote, “We learn to ride the shifting tides of emotion like skillful surfers as we grasp the great truth that we don’t need to feel compassionate, peaceful, confident, courageous, happy, or kind—we only need to behave that way.” Isn’t behaving differently from what we feel a form of pretense or denial? This may be one of the most controversial areas of my teaching, because it runs counter to our dominant social programming and beliefs about how we have to fix or improve our feelings, or quiet our minds, before we can live well. So let me put it in the simplest terms within our context here: It is only possible to show courage when we are feeling afraid of something. Is behaving with courage when we feel afraid denial? I think not. It is the same for any feeling and any action. We can feel whatever we feel, yet behave with kindness, with courage, in a peaceful way. Paradoxically, doing so reflects a warrior’s spirit. The Second Purpose deals with Finding Your Career and Calling. Why is it important to differentiate between a career and a calling? A primary purpose of this book was to replace confusion with clarity. Just as I draw a clear distinction between self-esteem and self-worth in a previous work, here it seems useful to help people understand that some of us have a higher calling, drive or interest that may or may not be a career (or work that produces income); and that not every career becomes a calling. Sometimes they merge, and sometimes they remain separate in our lives. You write that many young people are pressured to choose a career path before they really know themselves, so they end up choosing what they think they should do rather than what they really want to do. Can you say more about this? The Third Purpose seems the most mysterious, based on a number system and one’s date of birth. Where did you come up with this as the third purpose of life? As I explain in the book, I learned the fundamental elements of this system from an unusual mentor. Quite skeptical myself at first, how working with the numbers in one’s date of birth could possibly provide accurate information about core elements of one’s life, it was only after working with many, many people and years of study that I fully came to appreciate the power and clarity of this mysterious method, and how it provided deep insight into our individual life path — information usually hidden beneath the distractions of daily life. In The Fourth Purpose, dealing with each arising moment, you suggest that “there’s no such thing as a future decision?” What do you mean by this? What steps can someone take to immerse themselves in each moment, and find the flow or the zone, as some athletes experience? I receive emails from a number of athletes who have experienced what feels like a mystical moment of transcendence, and they want to know how to be in “the zone” all the time. I respond that the quality and intensity of our awareness and attention change all the time. Naturally, there may be some moments that feel extraordinary, when a golfer can “see” the line to the hole with absolute clarity, and a tennis play can put every shot right on the line. We can increase such moments of clarity or absorption by practicing what we do rather than just doing it. Each of the four purposes leads readers toward greater clarity — even spiritual awakening. In your other books you describe instances of your own awakening. Can you select one recent moment of transcendence and share what you felt with our readers? Many people love miracles and moments of transcendence — the idea of getting ‘smacked across the head by a Cosmic Oar’ — and many of us pursue such altered states of consciousness by various means and methods. But the reality of my life has been less like a light switch turning on, and more like a dimmer switch slowly turned up, over time and experience — brighter in some moments than others. Nature has always been my primary teacher — watching streams flow around obstacles, pursuing the path of least resistance; observing how trees grow strong roots, but flexible branches that bend in the wind; how the seasons change in their own rhythmic cycles. The natural world, along with training (in any sport or art) can teach us all the universal laws I describe in another book, The Laws of Spirit. Now I'm happy to share the four purposes of life that lend meaning and direction to anyone's life, in any moment — especially helpful for those at a crossroads, in transition, going through changes.